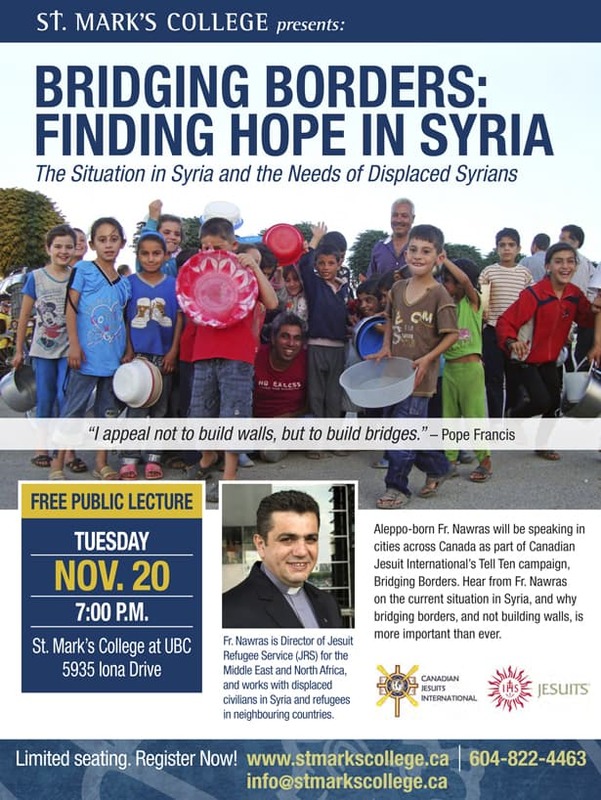 Father Nawras Sammour SJ, CJI’s guest from Aleppo, Syria, will be speaking at a public event in Vancouver on November 20, 2018. If you are in the Vancouver area, please join us for this Bridging Borders event! See poster below for details.